I specialize in precision highlighting techniques, creative and unique color and grey blending as well as custom cutting to meet the needs of my clients. What can clients expect that sets you apart? I create a charismatic and fun environment for my clients. Not only do I take the time to understand their hair needs, I also invest in their personal needs. Creating a bond with my clients is of an utmost importance. I am a true Loudoun local, a mom of three and I love the Redskins, Capitals and an avid volunteer in the community. Karen is a master stylist, creative colorist and one of our salon bridal coordinators. She has over 10 years experience. She graduated from Graham Webb international academy of hair in 2006 and has had the opportunity to master her creativity and skills. She has furthered herself by completing educational classes across various product lines. Karen prides herself in highlighting skill and coloring techniques. 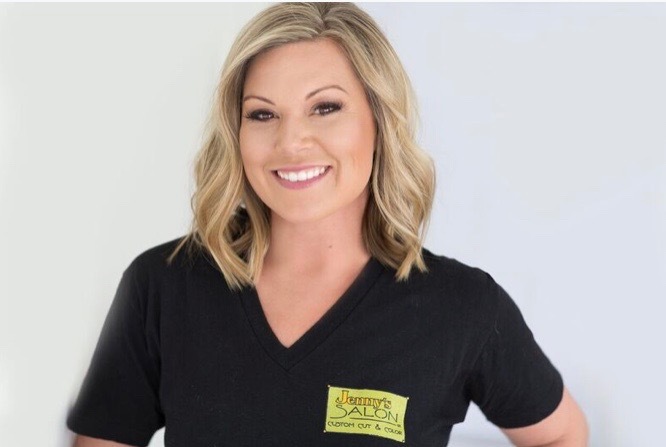 Her knowledge and personality allow her to ensure that every customer is treated with individualized attention and exceptional customer service.